Following John Jensen's presentation of Hollywood and the Homefront, Harbor History Museum members and lecture attendees are invited to stick around for a preview of our newest exhibit, "Bomber Boys: Portraits from the Front" and a special lobby installation featuring our "Local Heroes." Enjoy complimentary refreshments and an opportunity to get the first look at this amazing exhibit which highlights the little-known story of the combat, captains, crew, and camp life of the 445th bomb squadron of the 12th Army Air Corps stationed on Corsica and in Italy. 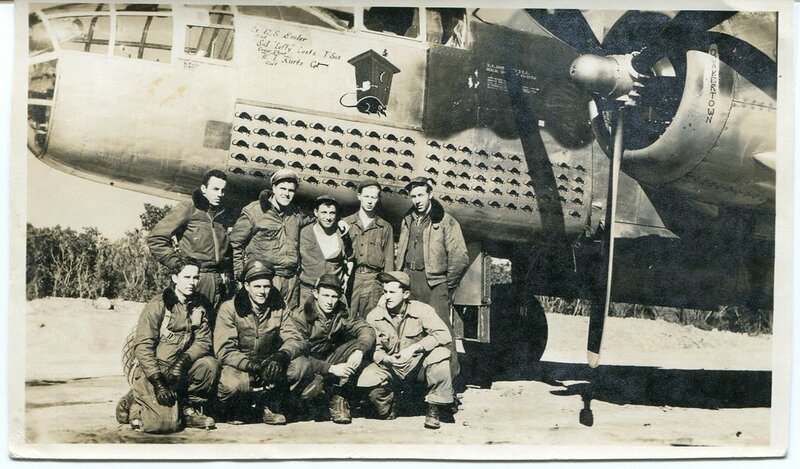 The flight and ground crew of Outhouse Mouse, a B-25 that flew more than 100 missions in the Mediterranean Theatre.